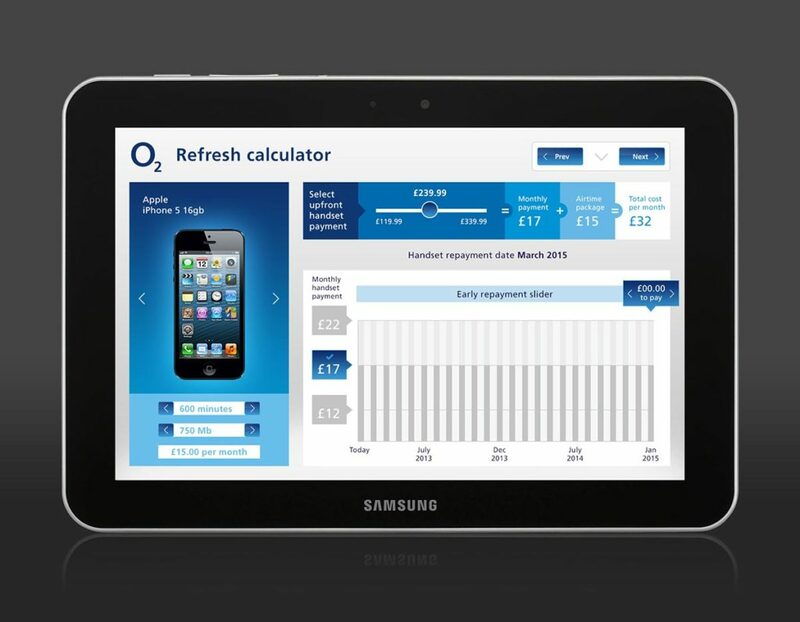 Whilst working for the agency Tribal Worldwide I was asked to work on an application that was intended to be used in O2 retail stores to explain the then new Refresh concept. The concept of Refresh is that customers of O2 are able to change their phones before their contracts are up, effectively separating hardware from call time and data costs. The app was to be installed onto Windows Surface tablets that would be on display in UK O2 concept stores. 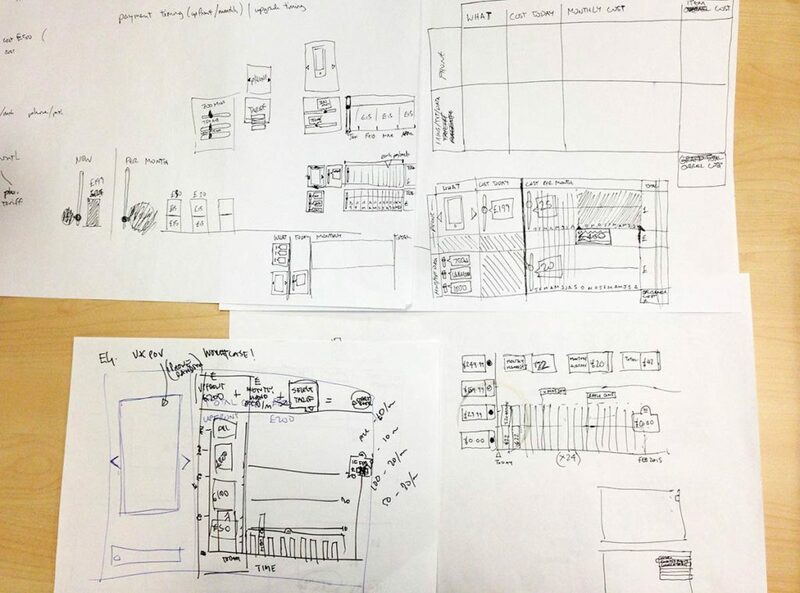 I worked on UX flows and detailed wireframes and, once the client was happy, I liased with Tribal’s visual design team to prepare final graphics. One of the toughest challenges was the calculator section of the app, which was really the crux of the Refresh idea and demonstrated to customers what the deal was to cost and the choices they could make that would alter the final figure. Frustratingly, despite being implemented onto a Surface tablet, the launch of Refresh was delayed at the time and plans for the concept stores meant that it would end up being launched in a different way. 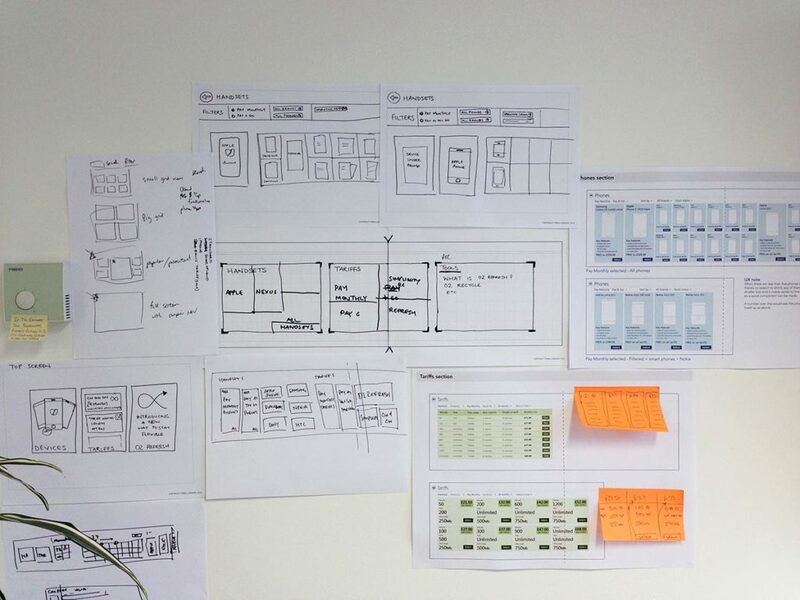 More sketches detailing app navigation. 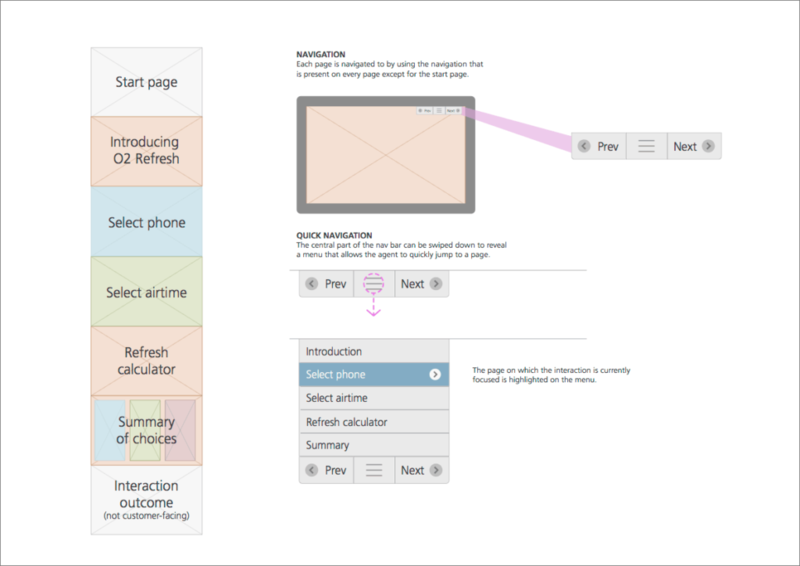 Wireframes of the phone selection and comparison screens with interaction notes and annotations. 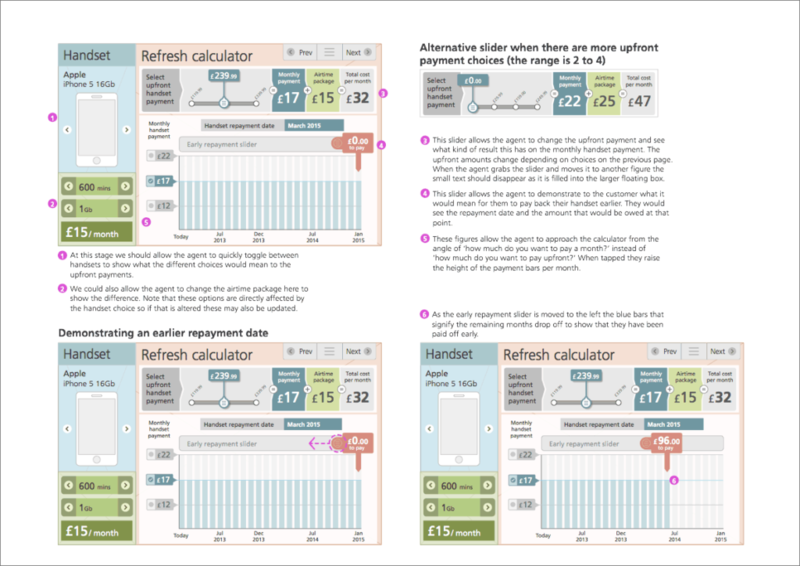 The calculator screen was one of the hardest UX challenges to get right, particularly because it’s the point at which the customer learns how much the chosen deal will cost them. 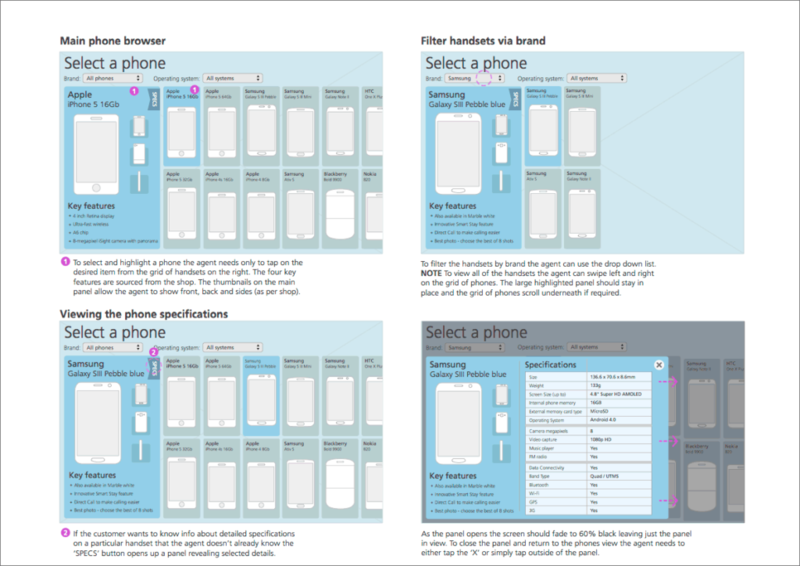 Details of the navigation menu of the app showing the order of the screens and how the menu works. 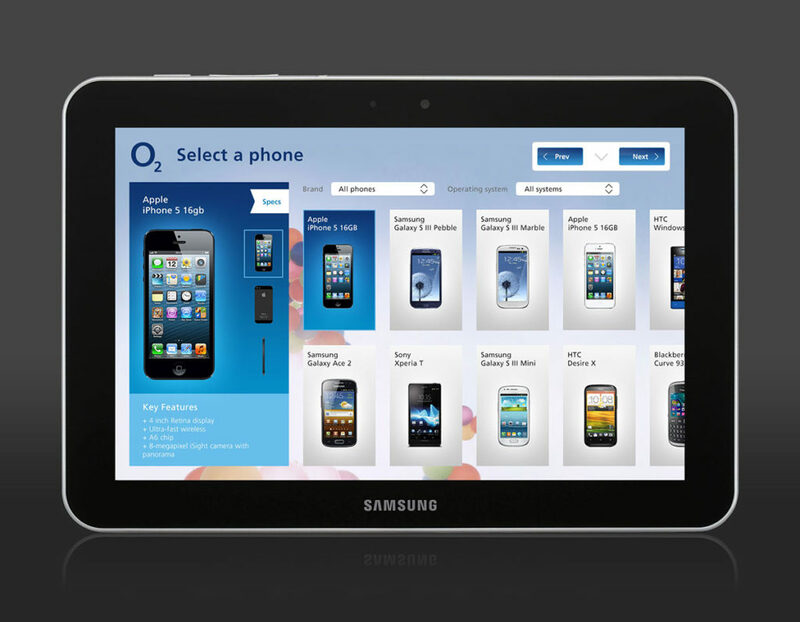 This is the phone selection screen worked up in the O2 style and shown on a Samsung-branded Windows Surface tablet. This is the calculator screen worked up in the O2 style. I worked with visual designers at Tribal for the final design of the app.